Are you unsure about your cancer and palliative care placement? Do you need guidance on what to prepare to get the most out of your practice learning? Will you have the range of clinical skills to care for people with cancer? What learning opportunities will there be to meet your competencies? How can you maximise your learning during this placement? This book will help you with all these concerns. It will advise you on what to expect from the placement, what you can learn, how to link theory and practice, and how to make the most of your learning opportunities and meet your competencies. 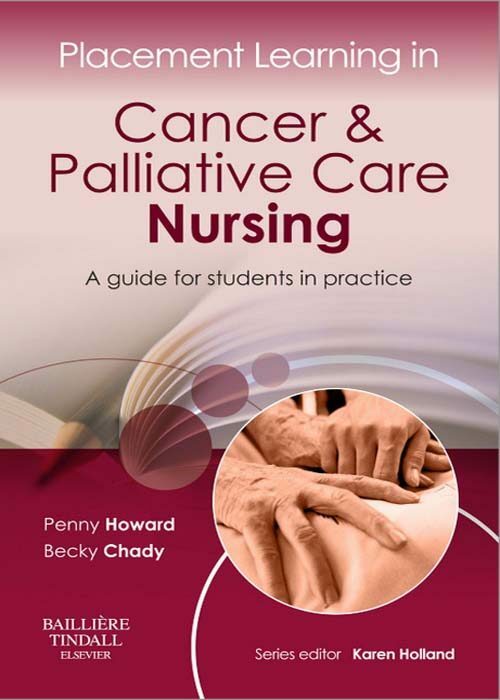 Takes a logical, step-by-step approach to preparing for learning on a cancer and palliative care placement Provides the principles of care, treatment and management of someone with a cancer diagnosis, linking university-learned theory to clinical practice Gives helpful evidence-based practice examples and resources to support placement learning Identifies clinical skills that underpin care of an individual with cancer Highlights potential learning opportunities and experiences available on a cancer and palliative care placement Explains how to develop your clinical portfolio by completing specific exercises and activities Maps all activities and exercises to the NMC competencies Advises on approaches to a range of situations that may arise as a student nurse Adopts a case-study approach to consolidating learning and to explore the patient pathway from pre-diagnosis, through a range of treatment options to living beyond cancer or end-of-life care. Series features: A unique guide to getting the most from clinical placements How to prepare for your placement What you can expect to learn during a placement Clear links to, and examples of, achieving NMC competencies Guidance on what to use as evidence for your portfolio Case studies that link theory with practice How to consolidate your experience and learn from the placement Tips, activities, further reading suggestions and useful websites. .